YES!!! First 100% score in such a long time. The story is simplistic and this is in no way a bad thing, in fact it maybe its biggest strength. The film could easily turn out be a classic because it requires nothing of the audience. The world doesn’t need to be explained, you can see it. The characters don’t need to be developed, you get them. That being said all the actors played their parts, sane or insane. And a special shout out to stunt crew for this film, well over 150 stunt men and women. How none of them died doing these stunts defies me. The action in this film was spectacular. 90% practical effects. The visuals are flawless, only a hand full of CGI moments, and only when necessary. The war rigs never stopped. It was an endless fight and struggle of survival in a truly hellish world. 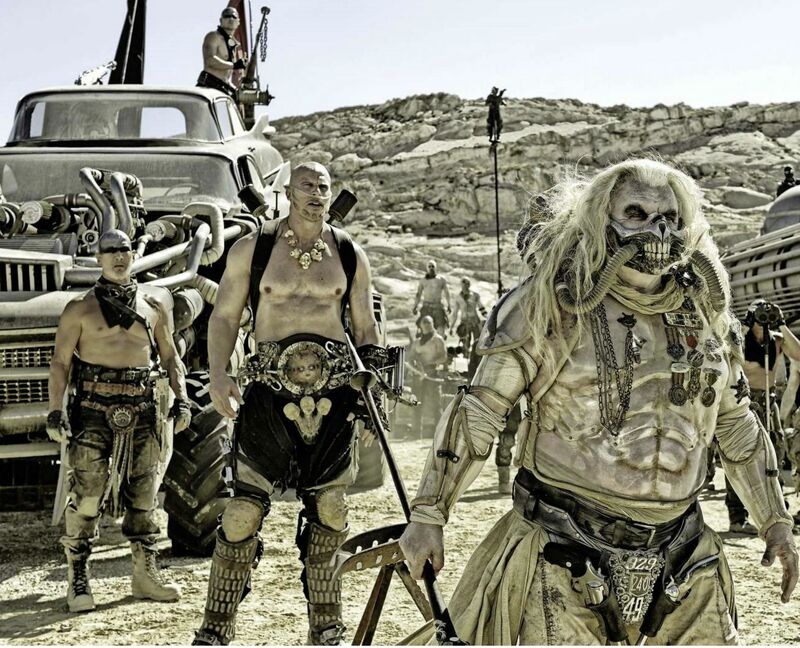 The choreography of the action is also amazing, especially considering the vast variety locations, weapons and it all happens on cars travelling 70 mph. And lastly the designs of everything were great, the costumes, the cars and the incredible diverse forms of weapons designed for this film. I’d quite like a spear bomb. My Favourite scene would have to be the insane chase/battle at the end of film. 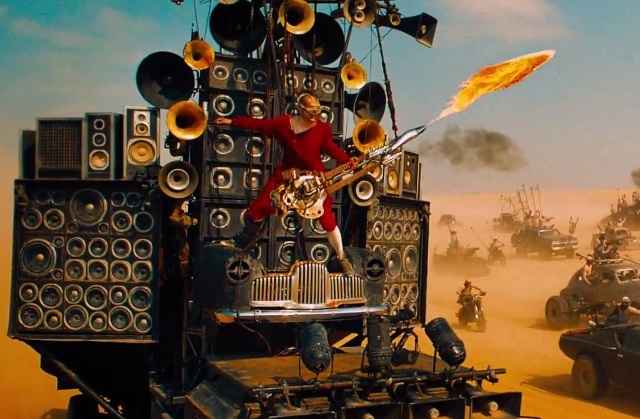 Guys swinging on poles, guitar flamethrower guy, bullets, fire and burning petroleum. Do you give me permission? Is my rating Ruth approved? Do you proclaim my review accurate? I finally saw the movie today and I really hate to tell you this but I didn’t like it. I know you loved it but I’m probably in the minority of disliking it. Ha! Your spoiler scene sounds pretty awesome to me! Sound like a great film indeed!!! Who skips to the spoiler section when you haven’t seen the film? Are you a masochist?! Hey Tim! Thought I would let you know that I’ve nominated you for both the versatile blogger award and dragon’s loyalty award. Keep up the excellent work! Would need to rewatch it, but the image which stuck most with me is when they are driving alongside the storm, which looked jaw droppingly beautiful and amazing. Great scene, loved the build up going into the storm as well. I love practical effects, but that CGI storm was stunning to watch. Talking about loving CGI, just saw Kung Fury this morning on Youtube and I actually enjoyed it a bit more than Mad Max….they aren’t really comparable movies though but that has some very cool action in it….plus it’s extremely funny. “The action in this film was spectacular” — couldn’t agree more! Loved, loved, LOVED this movie. Didn’t expect this going in, but it’s actually my favorite movie of the year so far. It’s tough to pick a favorite scene, so many good ones! My favorite part is probably the final chase at the end. Sounds awesome – going to have to see this one soon. I finally got the opportunity to watch the movie last night and I must agree with you it was fun. You’re right it didn’t require anything from the audience…just sit back and enjoy! I also liked the simplicity of the plot and characters. There was no over-analysis needed. The action rarely stopped. 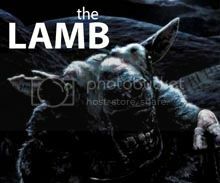 Really cool movie. Am sure it will have staying power. Excellent reviews always do. Its also very rewatchable. I was smiling throughout. Such a blast of a film. I thought most of the action was going to be in the 2 minute trailer, clearly they showed very little. I’m glad you really liked this movie cause I really want to see it now! Look out for guitar flamethrower guy. Yay ACTION!!! High praise indeed! Think you enjoyed this a little more than me but it still rocks. I’m going to see this later in the week. Your top score and great review makes me even more excited! Have fun with it. Try and figure out the difference between the stunt crew and the dummies used. I think people died making this. Thanks for the comment. What was your favourite scene then? 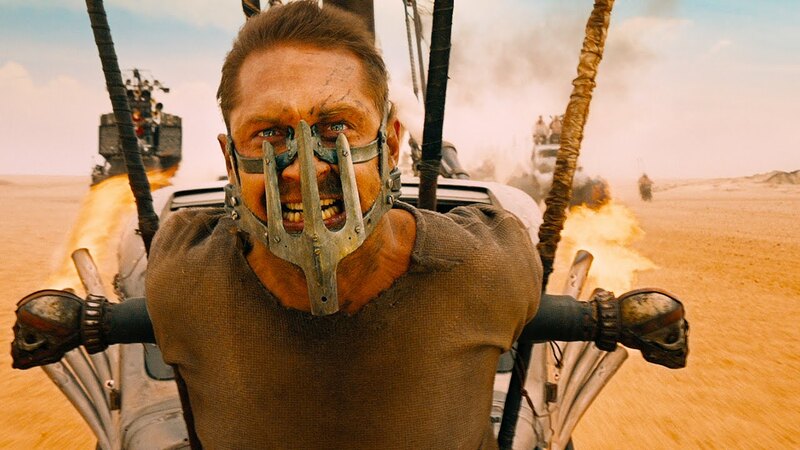 Tom Hardy’s Mad Max is the better Max IMO. I think his performance just feels far more charismatic. Mel was great in the second one but not that great in one and three, Hardy has better physicality, a better look and shines enough even though he has comparatively less influence on the story as compared to Mel. I’ll admit Hardy is a better actor. Also played Mad very differently. More shell shock than off the wall crazy. My favourite scene would have to be the bit with the car chas… oh wait, that was the only scene! I guess that means there were no bad scenes. 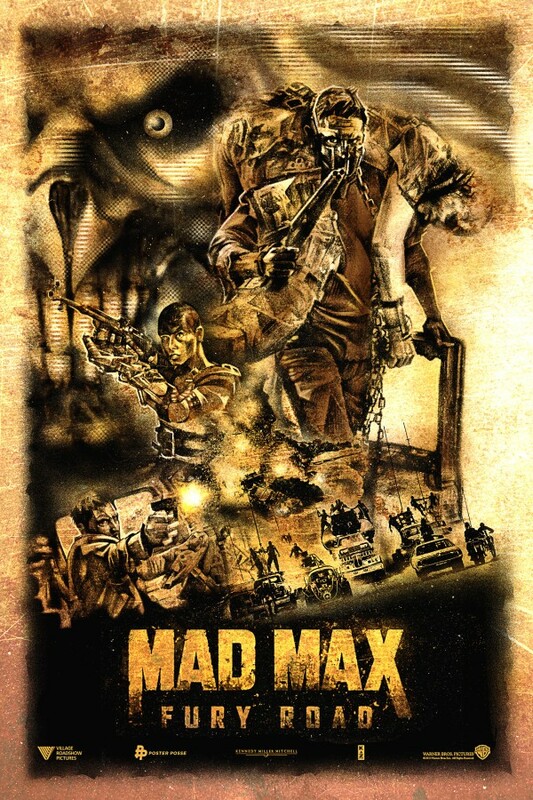 Thumbs up to Mad Max! I love how the trailer only revealed stuff from the first car chase battle, and that was the weakest fight scene of the movie. And yet, the weakest fight scene of the movie was one of the best fight scenes I’ve ever seen.